Parents often ask us when a child should first be seen by a dentist. The answer to this question surprises them. In order to prevent dental problems, plan on scheduling your child’s first trip to see us before his/her first birthday. A guideline that we typically use is about six months after eruption of the first tooth. Don’t forget, decay can occur as soon as a tooth appears. Studies show that many children are now getting cavities as early as age two. Sadly, we are seeing this. Taking your child to see us, at a very young age, is the best way to prevent these childhood cavities. It also helps acclimate your child to the dental office and paves the way for stress-free visits in the future. Before bringing your child in, make sure to ask us what the child can expect at the first visit. This way, there won’t be any surprises for you, or your child. Bring a list of questions – we love talking about oral health! how a child’s diet affects his/her oral health. Bringing your child to the dentist early, and regularly, leads to a lifetime of good oral habits. After the age of two, plan on bringing your child in for a check-up every six months. Starting as early as age three, we attempt to take x-rays to check for decay between the teeth. Sealants are placed to prevent decay as soon as the permanent molars erupt, usually about age six. With a little preparation, going to the dentist with your child can be stress free. The team at Eggert Family Dentistry works hard to provide a relaxed, non-threatening environment for you and your child. Put your child on the path to excellent oral health and call us today at 651-482-8412. Posted on December 7, 2015 August 28, 2017 Categories Children's Dental HealthLeave a comment on When Should Your Child’s First Dental Visit Be? Witches, zombies, and ghosts aren’t the scariest things about Halloween. For young and old ghouls alike, Halloween candy is what’s most frightening about the upcoming spooky holiday. The main villains? Sugar and acid. Here’s a guide to the most frightening Halloween candy and some scrumptious options that are better for your teeth. The worst options for Halloween candy are packed with sugar, highly acidic, and stay in your mouth for a long time. Candies that fit this category are a major source of tooth decay. Sour candies in particular are nasty sources of enamel erosion. Not all Halloween candy options are bad for your teeth. There are a number of delicious treats that won’t cause significant tooth decay. Sugar-free treats are always a safe bet, as are candies that are easy to chew, since they don’t stay in the mouth too long. When you go trick-or-treat shopping for your neighborhood ghouls, choose options that won’t rot their teeth. To put your own kids on the path to excellent oral health, contact us at 651-482-8412. Happy Halloween! Our young patients love to talk about the Tooth Fairy. Many times this is a child’s first experience receiving cash for something they did – as opposed to receiving money as a gift. The Tooth Fairy has been a frequent visitor in American homes for many years. 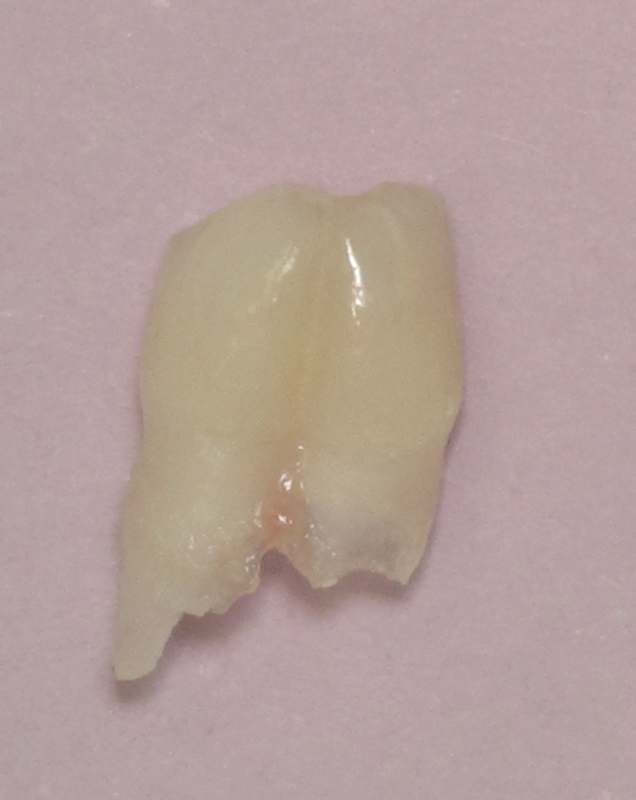 This tradition has helped generations of children through the sometimes unpleasant process of losing their baby teeth. There are numerous stories and rituals about the Tooth Fairy Reportedly, hundreds of years ago, European children would bury their teeth. This symbolized that a new tooth would soon grow in its place. In other countries, a widely documented ritual involved offering the lost tooth as a sacrifice to a mouse or rat. The practice was done with the hope that the child’s adult teeth would grow in as strong and sturdy as a rodent’s. By the 1900s, Tooth Fairy stories had migrated to the United States, and soon after became an established part of American folklore. But how did we get to a point of envisioning the Tooth Fairy as a flitting sprite? With a lot of help from movie animation. It could also be the fact that a child would rather have a fairy sneaking around his/her room at night rather than a rat. Plus, fairies have pixie dust. What’s more fun than that? The Tooth Fairy serves as a source of comfort during an experience that can sometimes be scary or even traumatic. The loss of a baby tooth is the first rite of passage in a person’s life, and probably the most frightening. As part of that rite of passage, it is also seen as a way to introduce children to the concept offiscal responsibility. According to the August 2015 Visa annual survey, the Tooth Fairy is leaving an average of $3.19 per tooth under kids’ pillows. The Tooth Fairy must be feeling the pinch of economic times. For two years now, lost tooth amounts have steadily dropped – decreasing 24 cents from 2014 and 51 cents from 2013. The Visa survey, of 4,000 people, found that the most common monetary gift from the tooth fairy is $1. [Interestingly dads report Tooth Fairy gifts being 27% more generous than reports from moms.] 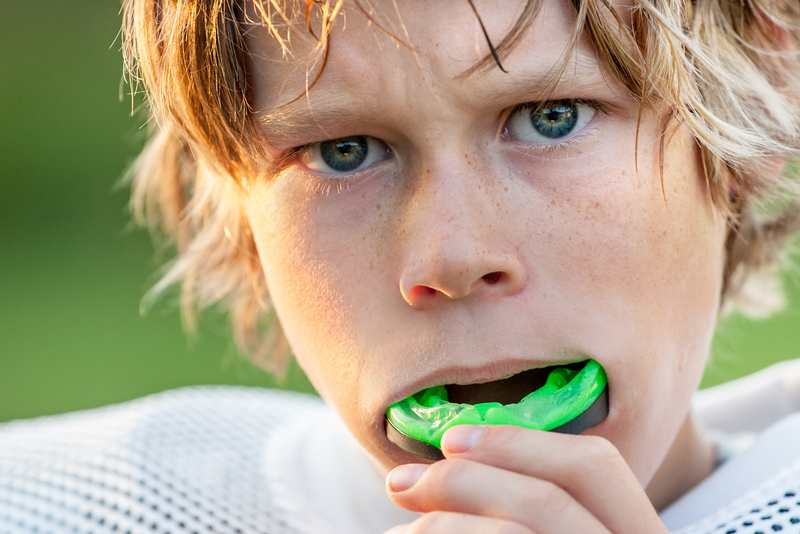 Kids are collecting about $64 in all when converting to a mouthful of adult teeth, which is down about $10 in the last two years. Remember, children should be seen soon after the eruption of their first tooth. The team at Eggert Family Dentistry works hard to provide a relaxed, non-threatening environment for your child. Put your kids on the path to excellent oral health by calling us at 651-482-8412. We even have tooth fairy boxes! As many of you know, we are happy to see children of all ages at Eggert Family Dentistry and successfully do so every day. Yet, we understand how some parents may feel that the environment of a pediatric dental office might suit their child best initially. However, when children start getting their adult teeth, around age 6, it’s time to see your family dental team who has experience in caring for those adult teeth. Adult teeth are more susceptible to plaque and calculus, which lead to cavities and gum disease, if not removed completely. Special care needs to be taken to clean the teeth thoroughly of this bacteria. Our hygienists have extensive training in removing calculus and plaque from teeth and are also trained to remove the bacteria that surround orthodontic braces. Failure to pay special attention to these areas can result in permanent damage to the adult teeth, including noticeable white spots, or cavities that form around the brackets. A routine visit for your child in our office is spent with one of our licensed dental hygienists April or Joanna and Dr. Elizabeth or Dr. Jeff. Our hygienist will first review with you your child’s past dental and medical history. They will then take a series of bitewing x-rays once each year to check for cavities and development. Our hygienist will clean your child’s teeth, removing calculus, plaque, and food debris. Our hygienist will apply fluoride to your child’s teeth once each year to help prevent cavities. An oral cancer screening is also performed on your child along with a caries risk assessment where we will discuss healthy habits for oral health with you and your child. Dr. Elizabeth or Dr. Jeff will complete the exam and suggest the best practices in maintaining good oral health. Your child will leave with a new toothbrush, dental floss, and tooth paste to help them practice their healthy habits at home! Our caring staff makes your children feel right at home during their visit. We explain the procedures throughout the visit while educating children on proper hygiene habits and the importance of eating a healthy diet. Children can watch age appropriate television shows and movies both in the waiting and hygiene rooms. 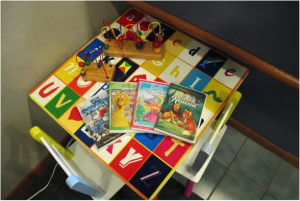 We also have a selection of reading and coloring books, games, and other toys for children to enjoy. We offer children comfort items while they are in the chair to make their visit enjoyable, including sun glasses for the light, a variety of flavors of polish and toothpaste, and headphones to wear to listen to the television. At the end of their visit, children love choosing a reward from the prize box! As a small office we can take the time to really focus on your child. Many pediatric dental offices see multiple patients at a time and do not always have the same luxury. A thorough exam paired with x-rays taken consistently every year is our best tool for detecting decay so we can treat and change habits early. Why are we so passionate about seeing your whole family, including your children? Unfortunately, we have seen many young adults, who have been seeing their pediatric dentist on a somewhat regular basis for years where we note significant decay on multiple teeth at their initial exam in our office. By the time we see some of these patients in our office, the teeth need more than just a filling and these young adults and even children have to experience root canals and even extractions at a very young age. With the advanced technology we employ at Eggert Family Dentistry, we are able to catch decay often before it advances, keeping necessary treatment to a minimum. As always, we are excited to meet more members of your family. Summer is a perfect time to get your kids scheduled. Call us today 651-482-8412!